A Natural Hair Loss Treatment That Blocks DHT? Male pattern baldness is a result of a gene in the body. This gene converts large quantities of testosterone into DHT (dihydrotestosterone). Hair loss occurs to some extent in 60-70% of all men, and 4-8% of women. This balding process is caused by hereditary factors. The idea is to block DHT from being produced. Or affecting the hair follicles. The problem is whenever testosterone and hormones are mentioned it creates concern. That it may affect other areas of the body. So a trade-off to having hair and possibly harming something else? There are FDA approved DHT blockers available on the market. Is there a natural alternative. For those a little conscious and concerned about side-effects? Would a natural treatment be more effective that blocks DHT? is believed to reduce DHT levels in the body. There are studies that appear to confirm this. BUT does this help as a hair loss treatment? An extract from the bark of the African plum tree Prunus africana. It’s a popular natural remedy. Used to alleviate the symptoms of benign prostatic hyperplasia and prostate cancer. The hormone interactions of hair loss and prostate health have many similarities. It is clear that there is a correlation between genetic pattern hair loss and conditions such an enlarged prostate in the scientific community. Both of these conditions are caused by dihydrotestosterone (DHT). A byproduct of testosterone when it is converted into an enzyme known as Type II 5 alpha reductase. For this reason, it is thought that the pygeum extract herb is a potent natural DHT blocker. After saw palmetto, Pygeum africanum is probably the most popular of these natural DHT blockers. The two can be and are regularly used together. As a popular hair loss treatment by hair loss sufferers. Before starting to use a pygeum supplement or any treatment program. Talk with a professional or Doctor regarding your hair loss condition. Although there have been no definitive trails. That has specifically looked at its effects on hair loss. Which is quite normal as a natural product. The scientific literature makes a case for the DHT blocking abilities of Pygeum africanum. Reducing DHT will almost certainly help prevent hair loss though. This is why the prescription drug Propecia (finasteride) is so effective. 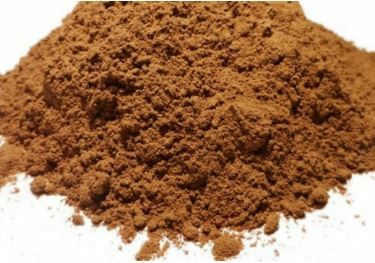 The pygeum extract has been used in Africa for decades. In herbal medicine to treat a wide number of conditions. The African plum tree is capable of growing to heights of up to 150 feet. Due to overharvesting the tree is now in threatened (endangered) conservation status. Of the many natural DHT blockers, Pygeum africanum is among the most promising. This supplement also has other benefits. Pygeum africanum has been shown to have anti-inflammatory properties as well. Combine this with a very low risk of side effects. It certainly seems Pygeum africanum is an obvious additional tool in the fight against hair loss.